The facility has different levels of treatment for women dealing with pre-or-postpartum depression or anxiety. Steven D'Achille (fourth from left) and his 5-year-old daughter Adriana attended Tuesday's ribbon cutting. Women can meet one-on-one with a clinician once a week or take part in an intensive outpatient program, attending multiple three-hour group therapy sessions a week. Partial hospitalization is also available. 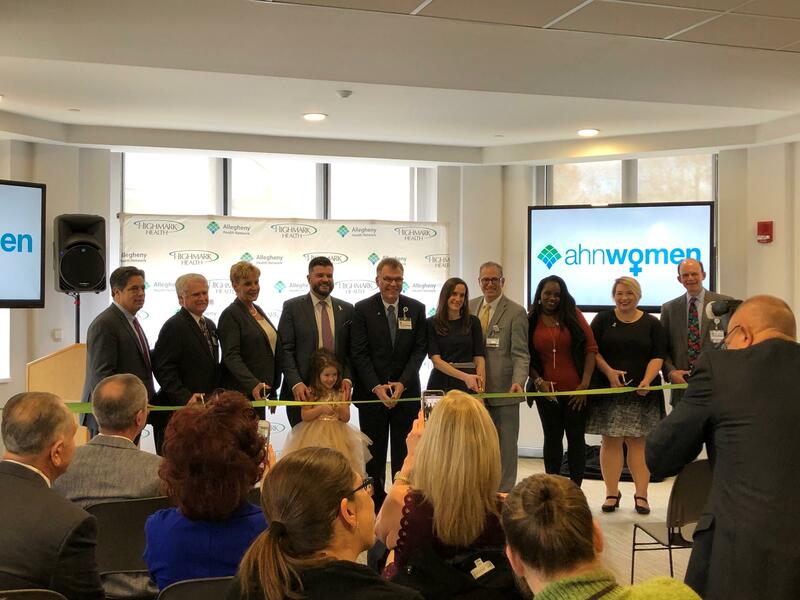 Sarah Homitsky, medical director of women's behavioral health at the facility, said women who contact the office are connected with a clinician who performs a needs assessment within 48 hours. She said keeping new mothers close to their babies is important for bonding. "We do a lot of specific mother-baby activities, so you're looking at infant massage, baby wearing yoga, in addition to also doing therapy one-on-one with a clinician," Homitsky said. 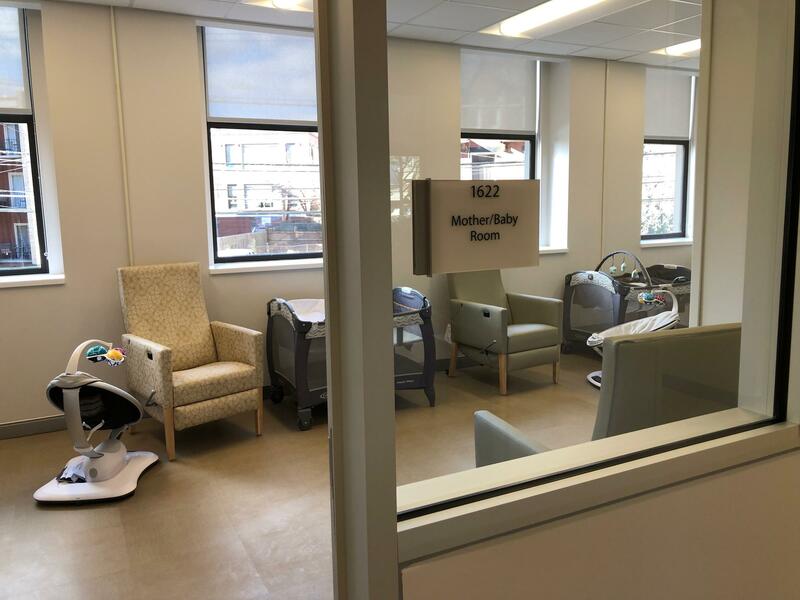 One of the spaces in which women can bond with their new babies at West Penn's new facility for women suffering from postpartum mental health disorders. The facility is named for Alexis Joy D'Achille, who died by suicide in 2013 after suffering from postpartum depression. Her husband, Steven D'Achille, said the facility will fill a much needed hole in postpartum care his wife could have benefitted from. "The core of this program is keeping mom and baby together," D'Achille said. "Making sure that they're bonding." Free childcare is available onsite for the older children of patients. Allegheny Health Network estimates 2,000 women will seek treatment at the Center next year. Postpartum depression impacts one in 10 women after giving birth, according to the Centers for Disease Control and Prevention. 90.5 WESA receives funding from Allegheny Health Network. A judge said he will "seriously" consider a motion to bar the death penalty in the case of two men accused of killing five people and an unborn baby at a Pennsylvania cookout. Cheron Shelton, 31, and Robert Thomas, 30, are charged in the March 2016 killings in Pittsburgh's Wilkinsburg suburb. Authorities allege Thomas opened fire on one side and Shelton then gunned down victims running onto a porch for safety.